The days roll by quickly and you don’t realize it’s that time of year again except for the sad feeling that comes out of nowhere. The winter months are my time of grieving, no matter how much I try to ignore it. I lost my husband in March one year and my son in January of another and my heart remembers and my brain starts unreeling memories when I least expect it. So for the past couple of weeks, there’s been that nagging feeling and recognition of what it is and random memories, good and bad, that may happen at any time during the year, but that flood me at this time. I drive by the hospital almost daily and usually don’t think about it, but sometimes my brain fast forwards through a lifetime of memories of births and surgeries and deaths until I can stop it. Sirens will randomly trigger memories of 911 calls to try and save my loved ones. My cell phone ringing early in the morning next to my bed always makes me jump, remembering the call that morning, my son’s mother-in-law telling me he had died in his sleep. I can see my lost ones everywhere in this city where we lived and loved, memories are everywhere. With all the triggers that could make me sad, there are so many others that make me smile. I still have a slide show of my son’s life that plays on my computer when it turns off so there are images that flash randomly from his life. There are his friends who keep up with me on Facebook and will post a picture or a memory, filling in a blank in his life, letting me see him again through other’s eyes. There are things around the house that he made or he gave me that I may walk by and not notice all the time, but when I do, I remember. 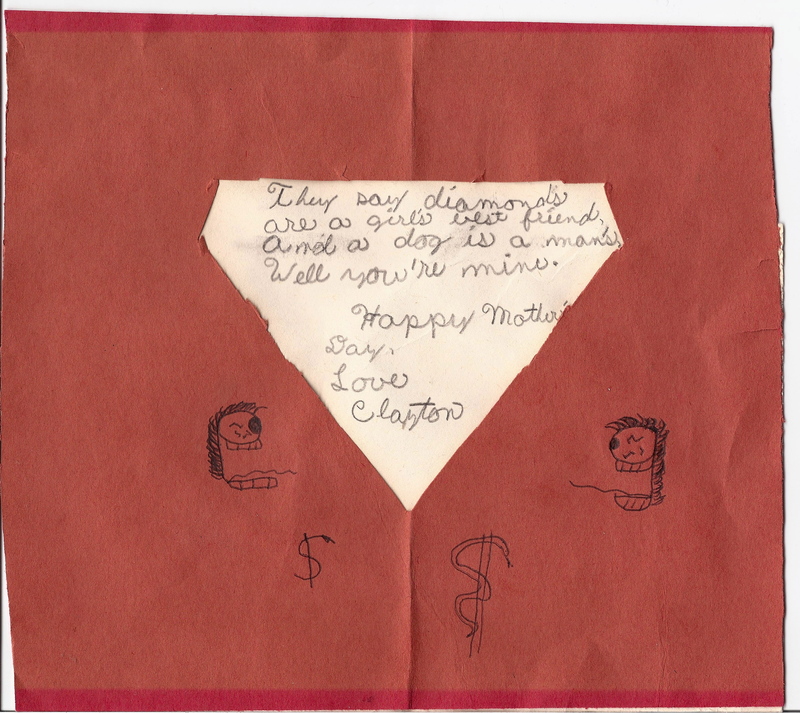 My son’s name was Clayton, or Clay, a family name, a name that pops up surprisingly often. The summer after my son died, I was driving into Clayton, New Mexico. As we got closer to the town, there was sign after sign, rushing by me in a blur, all with the word Clayton on them. It was a nonstop jolt to my senses. When we stopped at the light in town, I turned to my right and saw this window. 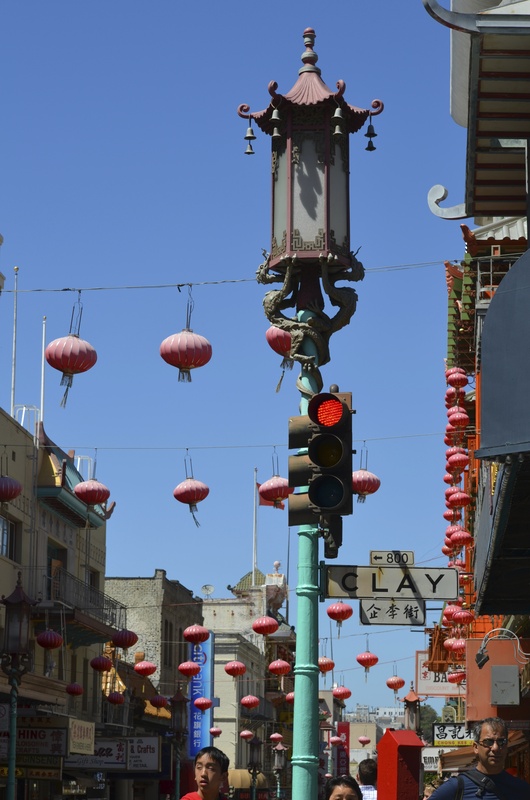 There are towns named Clay or Clayton, street names, such as this one in San Francisco’s Chinatown. I stopped behind a truck recently with Clayton in large letters across the back. 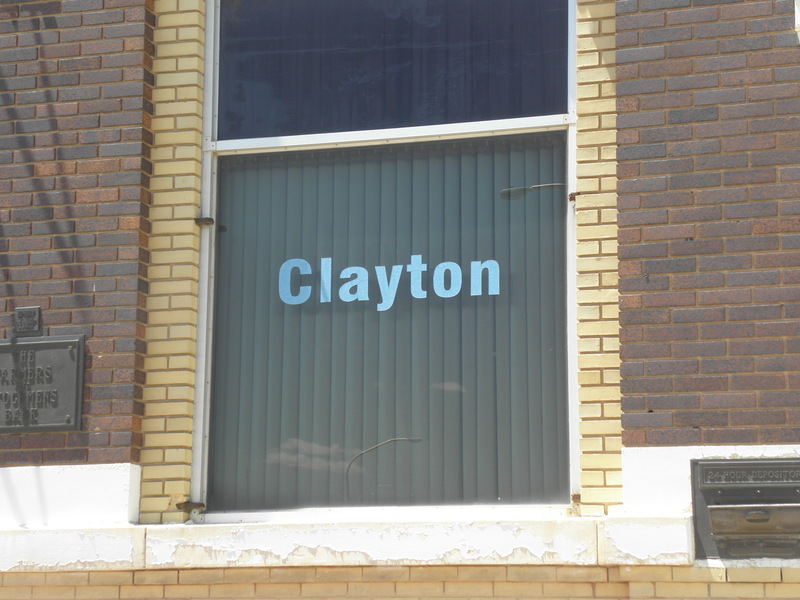 I went through a town in Texas with my daughter-in-law, past a company named Clayton, with banners along the road saying Clayton, Clayton, Clayton. I never fail to notice. I like to think he’s saying Hi. If people asked me if it’s harder to lose a spouse or a child, I would hesitate. I lost both to cancer, so there was nothing too sudden about watching them deteriorate. I grieved greatly for my husband, my heart broke, but that loss taught me so much about life, death, and myself to prepare me for the next great loss, just as the loss of my grandparents and my parents and friends along the way taught me. It didn’t make it easier, it just put it more into perspective. I’d like to get angry about it, but that would be pretty self serving. After all, I look around me every day and see others who have lost loved ones. If you live long enough, you lose someone you love. It’s the way life works, so gird up, girl. You’re just like everyone else and your loss is no greater than theirs. It just gives you more compassion, more understanding of how great our losses are. And, it gives you more gratitude for what we have. Losing someone has a ripple effect in the lives of that person. I lost my son, his wife lost her husband, their daughter lost her father, my daughters lost their brother, their children lost their uncle, their husbands lost their brother-in-law, his friends lost a friend, and the world lost another soul, every loss great really in the scheme of things. Last summer, I went to New Orleans for the first time in years, returning to a city with so many fun memories. My in-laws lived there for many years and our family spent time in the French Quarter as often as possible. The streets were familiar and full of my personal images, my own loving ghosts. 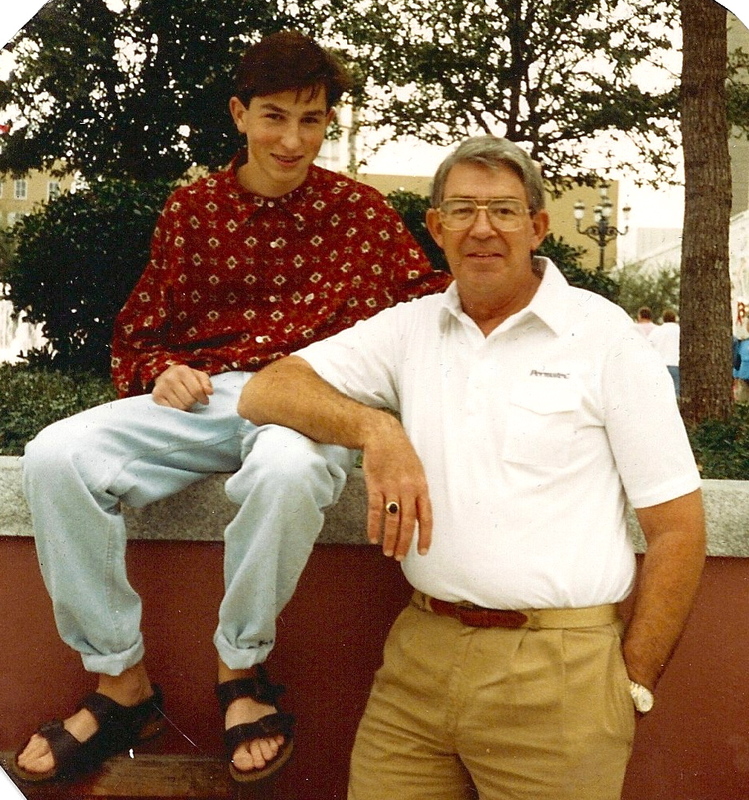 I could see my son, when we visited for the 1984 World’s Fair, standing by a pole, dressed in one of his usual uniquely Clayton outfits. I’m sure he wanted to break loose from us and explore, which he was able to do in his teens. He loved this city, the place he honeymooned in later years. And there was the memory of my son and husband, poking each other and try to make each other laugh, as they posed for one of my favorite pictures, taken in New Orleans years later. I wish I had words of wisdom, words to comfort others. You take comfort in your memories, in the solace of others, in nature. You never know what words will be the ones that help. At my son’s memorial, one of his college friends commented, “He just burned so brightly.” She didn’t know how that comment has warmed me through these years. And helped me put his life into perspective. Funny how that comment leaped out at me, how I hung onto it. Irene probably doesn’t even remember saying it, although she’s a songwriter, so she may. We grab for whatever comforts us and hang onto it for life support. I am comforted by my daughters and their families, by my daughter-in-law and my son’s daughter, now four. They breathe life into my life and keep me focused. He lives on through his family, his friends, and especially that little girl, so much like him in all his impishness and so uniquely herself. She’s hard to ignore and makes us all smile. We smile at her and for ourselves, because she helps us understand that we are all part of this earth and we have our time here with no way of knowing how long that will be. We need to cherish every day. Dang it. I can try to be philosophical about it, but I miss my son, my husband. I miss hearing them, hugging them, laughing with them. Sometimes I do a double take when I see someone who has a slight resemblance or walks a certain way and there’s a dim flicker of hope before I remember. I wish they were here to see the family grow, to share with us. I wish they’d had more time with us. There are things I want to tell them, so I do. Why not? Grief is an everlasting process at best. For those who are grieving, for those who have lost loved ones and think how lucky I am, you’re right. I’ve had so many happy memories and have so many loved ones near me and I’m very aware that for others, it’s not that easy. They may have lost the only person in their life and I can’t even imagine what that’s like. Some people on this earth live their life without a day of happiness and I have so much. I’m not sure about that saying that God gives you no more than you can handle. There was a news story several years ago that stuck with me, that helps me put my whole life into perspective. After a horrific earthquake in Turkey, there was an image of a woman sitting by the rubble. She had lost 18 members of her family, her home and her business. I don’t think there was anyone left. I think of her often. How did she ever stand up? How did she ever put one foot in front of the other? Who reached out to her? Surely someone lifted her up. Her world died that day, but she didn’t. Where did she find strength? Or did she? I still think of her and hope that she somehow managed to survive that unbelievable loss, that she found a way to face the unimaginable. I wonder what I would have done, where I would be. As I remember my own lost loved ones, I also try to remember I’m not the only one out there. None of our losses are greater than those of others. They all hurt. All we can do is always remember, always reach out, always love. Nobody ever said life was easy. Mother’s Day is over and it reminded me of the days when I owned a gift shop. Mother’s Day weekend was always a more than usual number of men, usually late in the day on Saturday, rushing in to get a card for their mother or wife. It was the same on Valentine’s Day. They grabbed a card and were out of there, not taking a lot of time other than to make sure it said something. At least they were making an effort to do something on a holiday that was obviously forced on them by the gift industry, the flower industry, society. Some people are just better at acknowledging how they feel than others. Some don’t like being told to do something just because it’s a declared holiday. Some don’t like to be told to do anything. Some just don’t know how to do it. It’s nice to have specified days to remember our mothers, fathers, veterans, whoever. It seems like it got out of hand when we started having days for secretaries, grandparents, teachers, bosses, and anybody else the card companies could think to honor. 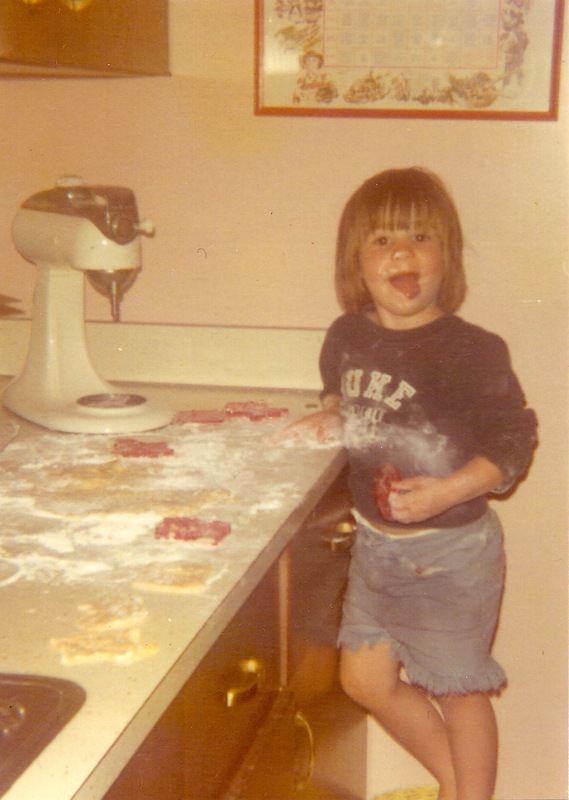 Starting when I was a little girl, I always – well, always may be a bit strong – but almost always as I remember, gave or sent my grandparents and parents cards and presents on the holidays, Mother’s Day, Father’s Day, their birthdays, Christmas. It made me feel good to do it, to let them know I loved them. Today, there are even more, even more convenient, ways to keep in touch…text, Facebook, Twitter, old-fashioned email, and there are still phones. In fact, now we have phones with us all the time, some with FaceTime. And there’s Skype. It would be nice to think that people were using them to communicate more often, with more love, from the heart. That’s what the ads show, after all. And there are always handmade cards and gifts that fill the bill. Here’s one my son made for me…I wish I’d dated it, but it looks like he was about 10 or so. Anyway, my point is that people need to tell the people they love how they feel while they can. If it takes a manufactured day to remind them, then that’s ok. If they could do it all the time, it’s even better. Don’t assume that your actions, although also important, speak louder than words. Everybody needs the words. Everybody. Nobody likes to feel taken for granted. Those manufactured holidays are a double-edged sword. They are a good reminder to acknowledge how you feel. For those who don’t receive anything on those days, it’s another kind of reminder and a different kind of loneliness and isolation. Some people are surrounded by loved ones who take it lightly. Some have nobody to remember them. It can be the happiest of days or the saddest or somewhere in-between (I know they love me, but it hurts that they forgot this day, even though I know it’s just a Hallmark Holiday). You know what I mean. In the best of worlds, we tell each other how we feel in so many ways. We tell them out loud, we whisper it to them, we tell them with printed words, we acknowledge them to others. However you do it, just don’t forget how important it is to everyone…everyone. Thank them, tell them you love them, hug them. While you still have the time. Because none of us ever knows how much time we have. The only things that prepared me for being a Mommy were my own terrific mother and grandmothers and my ability to read anything I could on the subject. 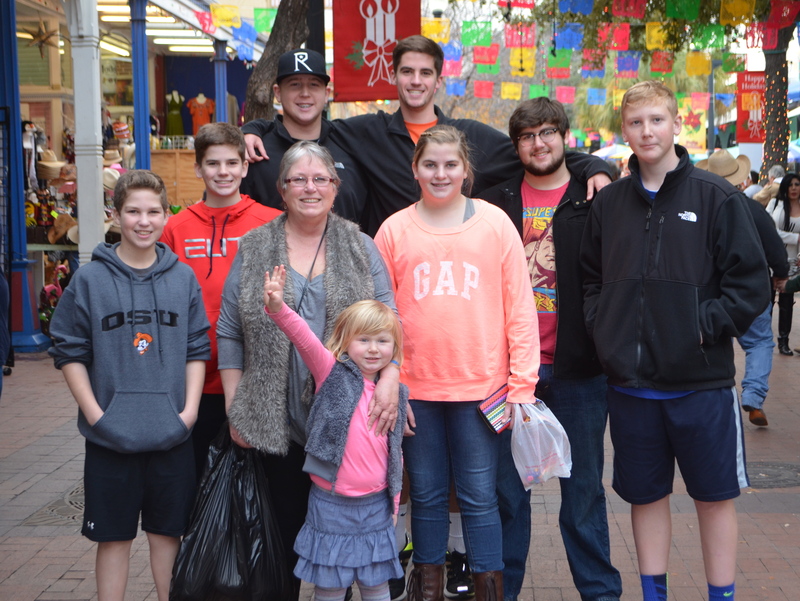 And my friends as we shared parenthood and its adventures together. I was one of the first of my friends to have a baby and I was still in college, graduate school, so I hadn’t been around any babies. I was the oldest child in my family, but we were close enough together that I didn’t remember anything about taking care of them. I was a novice with a Better Homes & Gardens Baby Book propped open on the changing table to show me what to do. I was a good student, so I guess I approached it that same way. 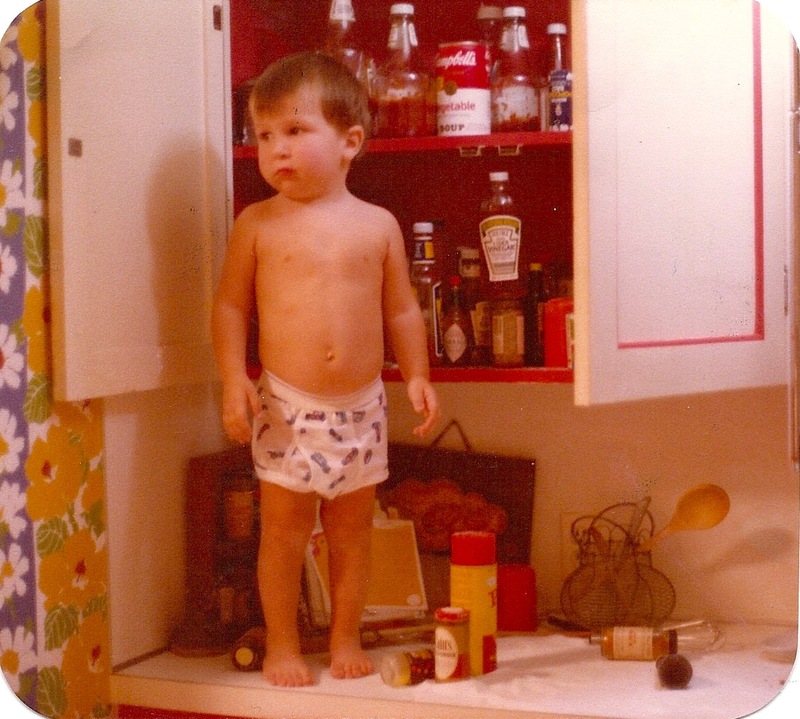 It was funny at the time and funnier now that I’ve had four children and eight grandchildren. That’s the first thing you’d better learn – to laugh at yourself. My husband and I often would look at each other and burst out laughing at the absurdity of it all. 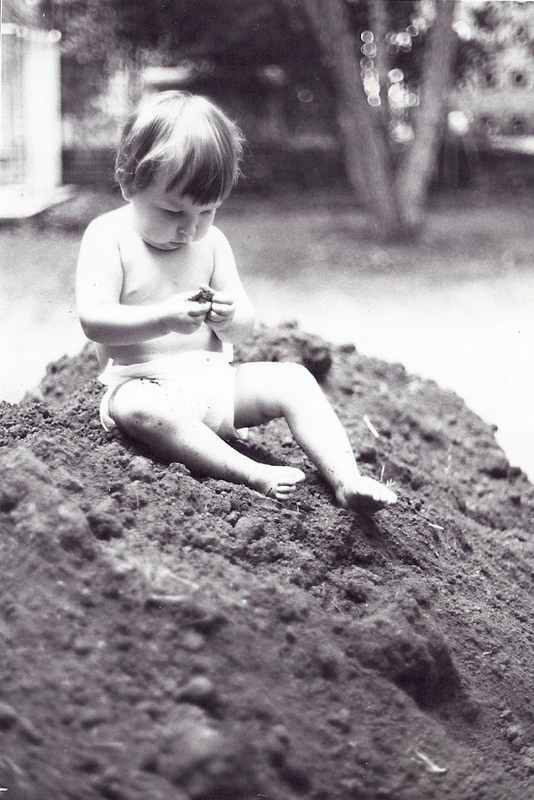 and dirt and mud, especially when I had a soccer goalie daughter who didn’t mind wallowing in the muddy goal. I never seemed to have towels in the car to get her home. And then there were life messes to clean up. Hurt feelings, anger, bad tempers, broken hearts, disappointments. You grit your teeth and pick up the physical messes. You gird your heart to take care of life’s breaks and falls. Being a Mommy was the best thing that ever happened to me…still. I’ve been through the worst of it and the best of it and would do it all again. That would be in another lifetime…I’ve earned my stripes in this one. My son called me Mom and my girls call me Mommy. My daughter-in-law calls me Karen. They’ve grown up to be wonderful adults and parents and I’m so proud of them and for them. Being a Mommy is a great class that never stops teaching you about yourself. You learn how far you can be pushed before you break into anger, laughter, or tears. You laugh a lot at the adorable things your children and grandchildren do and say and at yourself along the way. You are angry at yourself, at them, at others when they do the wrong thing or someone wrongs them. You learn that life isn’t fair, your children aren’t perfect, you can take on way more than you think. You learn that you cry for them, with them, and when they accomplish something big or small. I’ve cried through some pretty silly school programs. It could be that the most uncontrollable tears of all are the ones of pride. Most of all you learn that your heart is way bigger than before they came into it. You learn that it swells with pride and a love you never understood before. You learn that it can be broken and that they help it heal. This Mother’s Day weekend, I rejoice in the lessons this Mommy has learned. I remember with gratitude the love that I was surrounded with from my own Mommy and grandmothers and aunts. 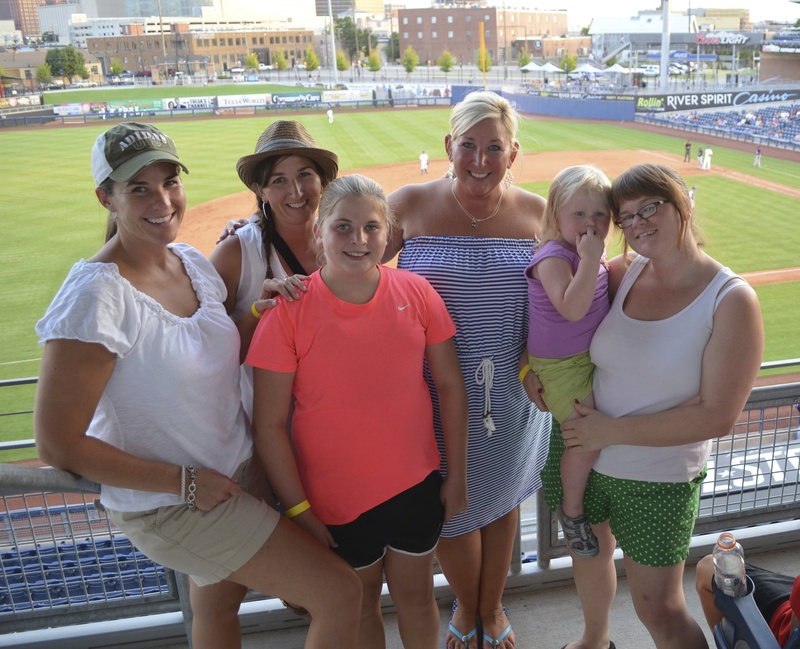 I send much love to the precious Mommies in my family who make me so proud of them and their children. And love to all Mommies out there. Have fun, be proud of what you do and laugh at yourself with joy! Happy Mother’s Day!